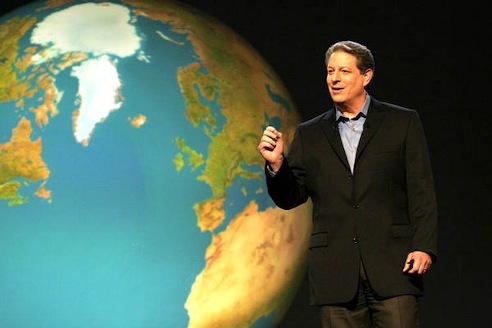 ***Al Gore's Oscar-nominated documentary, An Inconvenient Truth, will have its world TV premiere March 11 on Showtime. Show time is 7 p.m. central, 8 eastern. The cable network will follow the film with an updated commentary from Gore on how, in his view, global warming has worsened since Inconvenient Truth's release. It's up for two Academy Awards Sunday night, including Best Documentary Feature. ***American Idol executive producers Nigel Lythgoe and Ken Warwick have been hired to helm the 59th annual Primetime Emmy Awards, scheduled for Sept. 16 on Fox. Lythgoe says the Emmys both celebrate excellence in television and are "excellent television" in themselves. "Star power, production values, drama, suspense, tears and euphoria, just like an American Idol finale." Well, they're not quite that exciting. ***A new 10-episode Spike TV reality series, Murder, will be hosted by veteran Arlington, TX detective Tommy Le Noir. Each one-hour installment deploys amateur sleuths trying to correctly solve an already solved "real homicide pulled directly from police files," Spike says. The apprentice dicks are given 48 hours to make their deductions after being presented with the same evidence detectives originally had. The series is scheduled to premiere this summer. ***Speaker of the House Nancy Pelosi will be Jay Leno's featured guest on the Friday, Feb. 23 Tonight Show. Soap star Alison Sweeney ("Sami" on Days of Our Lives) is replacing Caroline Rhea as host of NBC's next edition of The Biggest Loser. And veteran journalist Lee Cullum will be returning to Dallas-based KERA-TV as host of the monthly CEO, which launches on Friday, February 23 at 7:30 p.m. central.